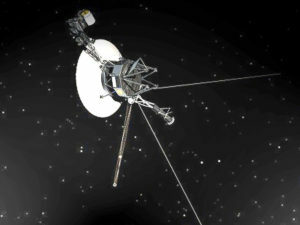 One of last year’s most famous, most advertised, most-clearly-recognized-as-science-fiction novels, on a shortlist almost entirely of famous, advertised novels—especially in relation to the rest of the 86-title submissions list—the inclusion of Ninefox Gambit on the Clarke shortlist was inevitable. Its reputation as a challenging narrative, its loyalty to standard genre form, and the requisite spaceship on the cover have established its place in the science fiction book award Goldilocks zone. If things go as they did last year and in 2014, it’s also a likely winner. Much as I complain about personality-driven fan awards and nepotism-driven industry awards, juried award shortlists aren’t much better, but it does seem like [juries] are in a better position to provide a complete snapshot of what the genre is doing at the moment. But if that were the case, one would expect more of the big splash or cult hit novels to be present on this list, but instead we get things from left field, and not even a hip or innovative left field. There is certainly nothing from left field on this year’s Clarke shortlist, as every author recognized is well-advertised and/or has their own hip following. This isn’t a list half populated by uncool, barely heard of white guys awkwardly rehashing old space opera, fantasy, and YA, like we saw last year. Most of last year’s list was British-niche, and most of that niche inspired little more than furrowed brows from the rest of the world. So what’s different for me now? Why am I so unhappy with this year’s shortlist when it’s doing exactly what I wanted last year? Answer: I read the submissions list. Reading, dissecting, and discussing this year’s subs list with the other Sharkes has made me more aware of the overlooked gems, overlooked talent, as well as the overlooked near-sameness of less famous submissions. 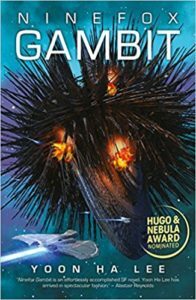 Without this more holistic submissions-reading experience, I would probably welcome Ninefox Gambit to the table—not because it’s something I like, but because it’s something I recognize as a major moment in 2016 sci-fi. But it’s not game-changing to SF, though. It’s not game-changing for space opera. It’s not even the mild update Ancillary Justice once was. 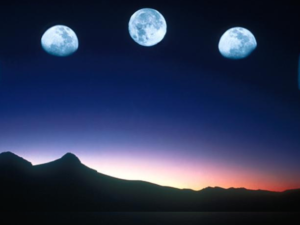 In fact, it follows determinedly in the footsteps of that recent predecessor, which follows determinedly in the footsteps of many a sci-fi TV show. When will the tide come in? Funny how military life permeates nothing but military life, and the Hexarchate of 9FG is a prime example of that. The plot turns on conniving factions of this oppressive government, while the populace has no role at all, as if nothing else exists in the world but the major players of the government, and the dead civilians left in their wake. 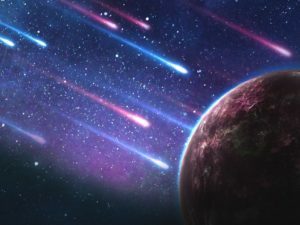 One generalization I’m coming to make about milSF space operas is that the worlds presented in this subgenre are defined in such insulated ways—just the way I assume life is shaped on military bases—but they fail to do the job of truly engaging with the civilian world, the part that should matter more. Even one of the few milSF novels I approve of, Joe Haldeman’s The Forever War, is entirely focused on the traumatic experience of the soldier, not the civilian victims. Much like recent criticisms about women characters serving only as diving boards for male protagonist’s personal growth, the same could be said for genocide and soldier awakenings. Fans of Ninefox Gambit will argue that the novel achieves new depths as the story’s psychological function works to teach lessons: Question authority. Don’t obey power. War is evil. But this is the same old lesson milSF has played out hundreds of times before: Mindless military drone suddenly feels bad about all the deaths. Mindless military drone suddenly wants to be an individual. If the lesson hasn’t been learned yet, are we merely putting on an act of righteousness only to perpetuate the fetishization of action and violence against faceless people? Isn’t the existence of this kind of literature simply proof that we live in a society that is entertained and/or unmoved by action and violence against others? Not that the violence in 9FG is all that visceral, and it’s clear from the outset that Lee’s agenda is far from pro-military, blood-and-guts, winner-takes-all style fiction. The above criticisms apply more to the subgenre as a whole, than to anything Lee is attempting to do. In 9FG, most of the action happens off-scene, with the primary narrative tension working between the protagonist Kel Cheris and her foe/mind-occupant, the undead and notorious military tactician Shuos Jedao. It’s a back-and-forth, bickering kind of tension that drives the entire novel, but Cheris’ development is so limited, and Jedao’s positioning is so conspicuous, the conflict does little to promote much intrigue. Besides, it’s a common buddy-buddy, protagonist/antagonist arrangement that should feel familiar to anyone. The only reason narrative structures like these are successful is because they can “other” the real world, set it aside, and play out all these petty little trickeries and violences without coming to terms with the inhumanity of it all. Even when these stories try to address the inhumanity of what the characters are doing, it still comes off as a minor morality lesson, but it’s undermined by the fact that the story—the entire subgenre—hinges on the very thing it attempts to critique. Beyond my own personal hang-ups with military SF, I have little more to say. Comments on Jonathan McCalmont’s recent review of Ninefox Gambit suggest that no proper review of the novel would be complete without consideration of the influence of Korean myth, but I tend to avoid making comments about the extent of influence from a writer’s cultural heritage (unless the blurbs explicitly acknowledge such an influence), especially when I lack the knowledge to properly identify those influences, and especially when a novel is based on tropes from Western SF, as Ninefox Gambit clearly is. (And especially when that author is from my own state, which, in terms of cultural background, could mean anything.) However, the comments did trip me up enough to seek out the internet’s abundance of Yoon Ha Lee interviews and the evidence points to the contrary: this Reddit AMA thread being the most clarifying article about the superficial and, at times, tenuous influence of Korean mythology on Ninefox Gambit. More interestingly, Lee welcomes the idea of a possible subconscious influence of culture shock due to traveling back-and-forth from Texas to Korea in his lifetime. While it’s often wise to remove the author’s intentions from a critical assessment, I think that AMA thread provides an interesting lens into Lee’s approach to the novel, explaining the heavy mil-Fantasy influence, the lack of visual description (a plus in my book! ), and the occasional moments of Zelazny-like prose. Moreover, it’s just as informative to note that fans of Lee’s short fiction are not typically fans of this novel, while fans of this novel are not typically familiar with his short fiction. This fan/format mismatch leads me to conclude that I’m more likely to appreciate Lee’s short fiction, and I should look forward to his future novels (with the hope that, after the success of this series, major genre publishers will be willing to take a risk on something more original, challenging, and interesting from this writer). The fan/format mismatch also leads me to conclude that some well-meaning, supportive fans might see more in this novel than is actually there—a habit we’ve all been guilty of when hoping for the commercial success of a fave author—despite the likelihood that Lee and his publisher purposely put out a more basic, palatable novel, in order to lure a more typical genre audience. It worked. It is a nice book. For what it does. I would recommend it to any milSF fan and any readers with a budding interest in the subgenre. It is not, however, original, revolutionary, or award-worthy, nor do I feel compelled to welcome yet another novel that fixates on military characters and ignores the real people. This is a novel that falls in line with tradition, while its fog of elusive world-building and unexplained neologisms serve to feign complexity, while its narrow focus on the bickering of two characters prevents Lee from attempting a greater and more global and internal sense of social intricacy. As a sample of one, I like both. Where did you see this being expressed? For a recent YHL short that I really liked, I’d point at Foxfire, Foxfire from Beneath Ceaseless Skies, particularly if you’d like to further examine to what extent he’s influenced by Korea. Well, that’s a neat trap. Hi Mark – Speaking as someone who is also a fan of Lee’s short fiction, and who liked Ninefox Gambit (I’ve already picked up a copy of Raven Strategem, though I haven’t gotten to it yet) but did not, in the end, love it, let me ask a question: in the thread following Nina’s review, you referred to “…fresh new voices who do something different and startling with old tropes, and Ninefox Gambit would be just the ticket.” I certainly agree that Lee is a fresh new voice, but what exactly did he do that was different and startling with the tropes in Ninefox Gambit? Beneath the surface conceptual oddity of the calendar system is the armature of a very generic rebellion-against-the-oppressive-empire plot, and the things that I liked about the novel (of which there were quite a few) didn’t in the end make up for that. (I was also very disappointed by Vahenz’ descent into cartoon villainy towards the end of the novel.) Clearly you saw something in Ninefox Gambit that I did not, and I’d be very interested to know what that is. If your question is “what’s good about it, apart from the worldbuilding, which is just superficial” then I can’t give a useful answer. No, I’m asking what you found “different and startling” (your quote from the other thread, above) about Lee’s use of tropes in Ninefox Gambit. Or is your answer meant to indicate that it’s Lee’s worldbuilding that completely wowed you? That’s a perfectly valid response to the novel (not that you need me to tell you that), but I was hoping for something as dense and strange as the best of Lee’s short fiction, and for me the novel didn’t deliver that. “What’s good about The Underground Railroad, apart from how it presents the history of slavery in the US, which we’ve read about before”. If you think what Whitehead is doing in TUR is presenting the history of slavery in the US, you might need to re-read it. Phil, my sentence about TUR was deliberately facile; I was too busy being acerbic to be clear. …the lack of visual description (a plus in my book!) My reaction to this in a book depends mostly on what the novel is trying to do. (Or at least what I think the novel is trying to do, which frequently may not be the same thing.) A novel like Tom McCarthy’s Satin Island would be undermined by dense, detailed description, while something like Eleanor Catton’s The Luminaries would fall apart without it. In the case of Ninefox Gambit, whatever Lee’s motivation may have been (something that as a reader I feel perfectly entitled to ignore), I think it was a mistake. The entire novel is based around the reality-shifting effects of a calendrically-imposed consensus reality, but the very schematic nature of the scenery really undercut the impact of that for me. Good point, Phil. I’m not much of a visual reader anyway, so it may be that I appreciated the lack of sensory overload. And I think that’s the second time I’ve seen you mention those two novels and I need to go move them up my TBR. 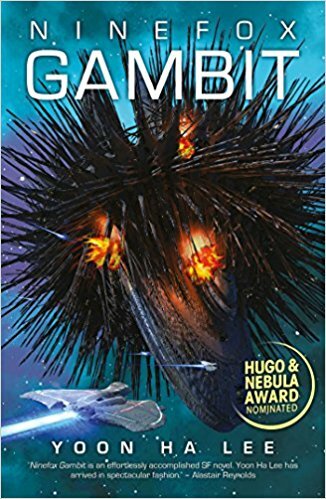 It’s a little surprising to me to see both you and Jonathan describe Ninefox Gambit as a “message” book, whose purpose is to teach readers that war is bad, resist tyranny, and so on and so forth. I took it as a given that this was the starting position that the novel assumed, and took for granted in its readers – how else could one possibly experience a novel in which the very premise is that wars are being fought and rebellions are being brutally suppressed over the freaking calendar? I think it’s very clear that everyone in NG is aware that the Hexarchate is evil, and has known so their entire lives. They just have no idea how to dismantle it, because the systems of the book’s world – including the “formation instinct” that compels loyalty from the Kel – make rebellion all but impossible, not ot mention incredibly costly. Here, again, the metaphor of the calendar is doing a great deal of work. The very conceptual framework that the Hexarchate imposes on its citizens puts so much power in the hands of its enforcers that breaking out of it becomes impossible, especially since it relies on getting enough people to buy into your deviant rhetorical framework. If anything, I would argue that the problem with NG (and even more than that, its sequel Raven Stratagem, which I’ve been reading) is that too many of the novel’s characters are cognizant of the Hexarchate’s evil. Everyone in the book seems completely aware that their society is monstrous, whereas I’d expect a lot more true believers and compromised go-along-to-get-along-ers.